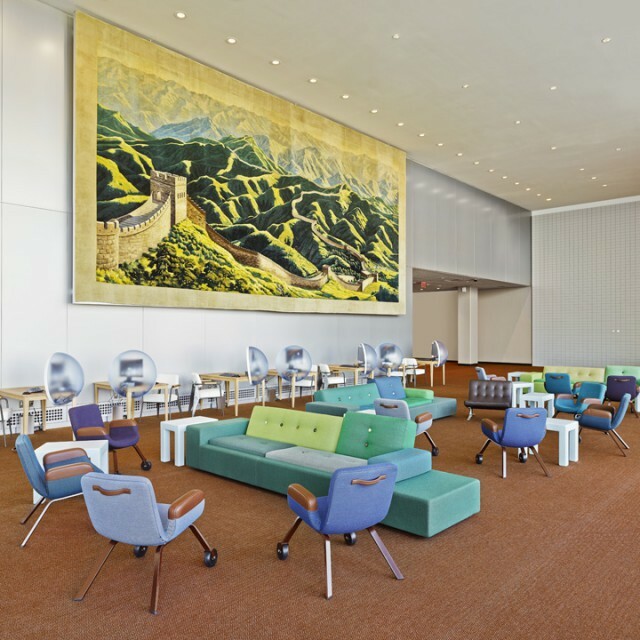 The existing colours of the public spaces of the UN buildings have turned grayish. In the more private spaces the colours are surprisingly warm in hue, sometimes even strikingly outspoken and intense. 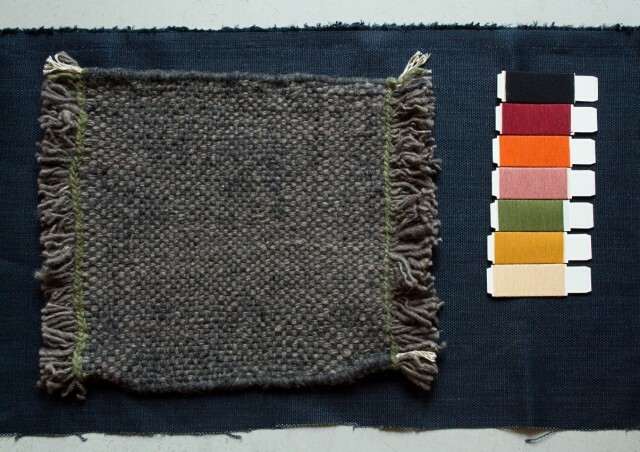 The Scandinavian origins are visible in the greens, blues and reddish browns. 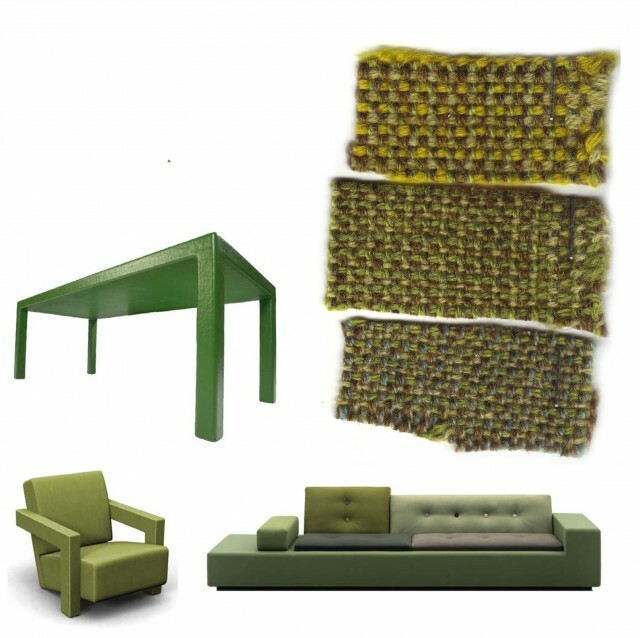 In the North Delegates’ Lounge the colour palette of the existing artworks is dominant. 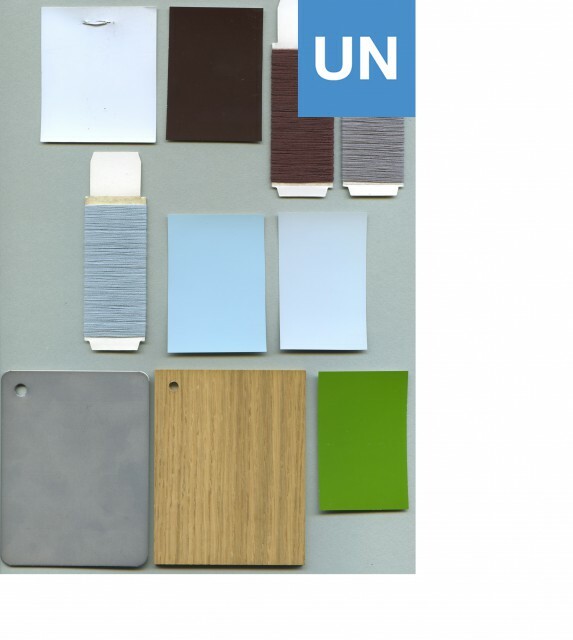 All new colours were chosen after various analyses were made of the former colour palette of the UN. 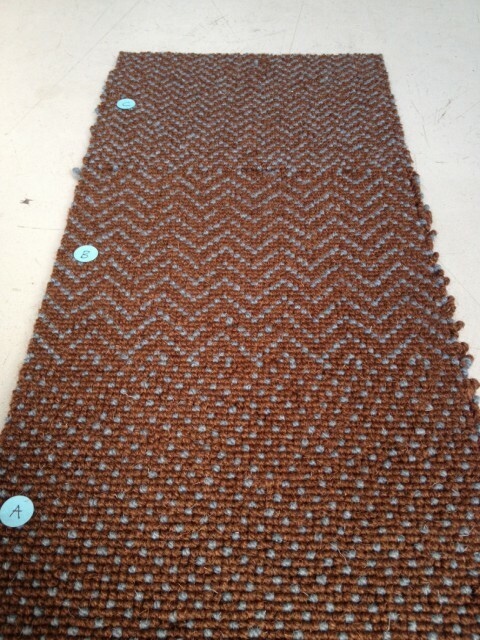 In order to create a counterweight to the forces on the wall, a subdued neutral colour was chosen for the curtains and the carpet. 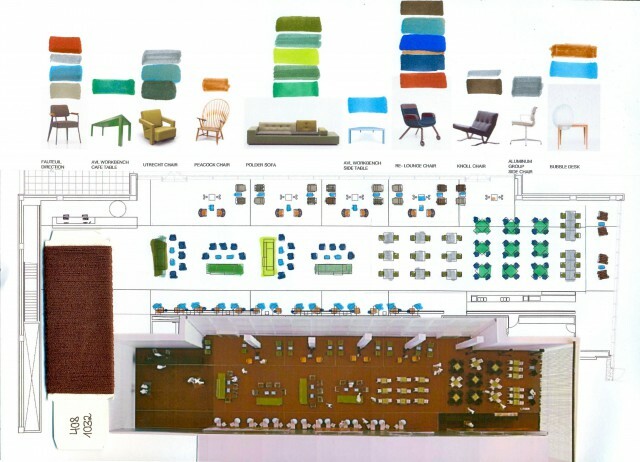 The colour of the carpet should serve to ground the variety of furniture and is in line with the colours in the corridor of the Conference Building. 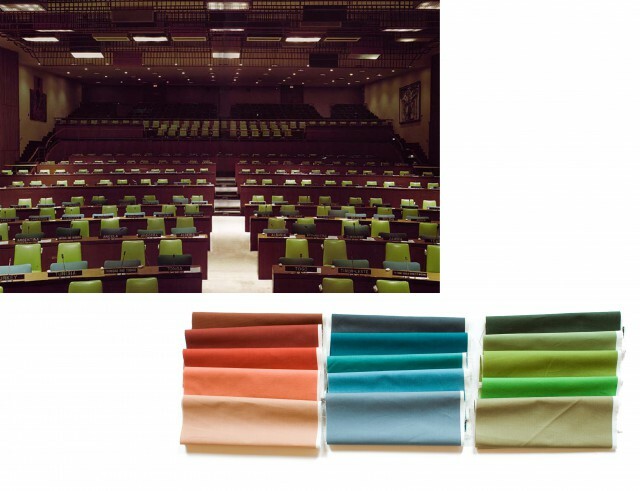 The colours of the upholstery of the furniture show a contemporary variation of the greens, the blues and the reddish browns which are predominant colours within the UN. 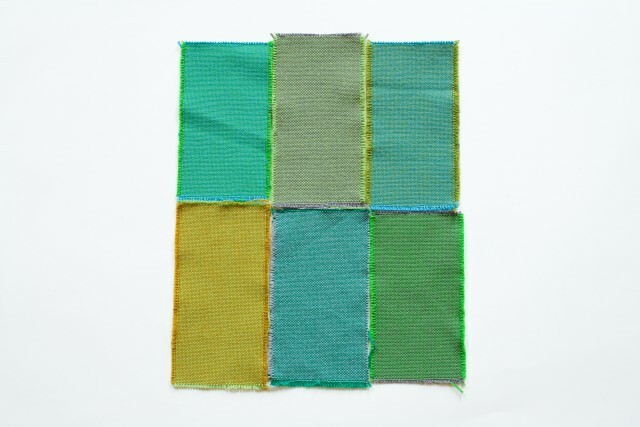 For these new fabrics, a weave is designed of weft and warp in duo tones: each thread reappears in more than one fabric, while the other thread is changed, creating colour families. In the past, throughout the North Delegates’ Lounge various woods were to be found. 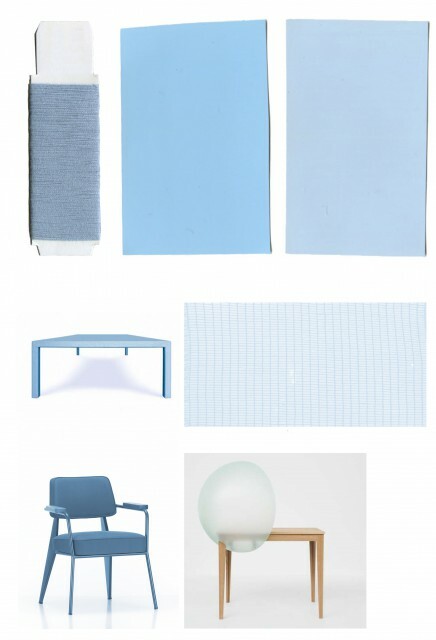 In the renewed lounge a variety of woods and their colours, from dark brown to whitewashed oak, will alternate with the grey of the aluminum South wall, the many hues of the weaves of upholstery, carpet and curtains, and a few crisp colours, such as the green of the café tables and the ice blue in the North Façade Curtain, the hood of the Sphere Table and the SideTables.